Focused on players who have been under-recruited, this team pulls some of the best prospects from New Jersey, New York, and Pennsylvania together for the spring and summer AAU season. Dedicated to team basketball, college exposure, advanced instruction and recruiting education, there are very few organizations that can turnout college players like the U17 Shoreshots. 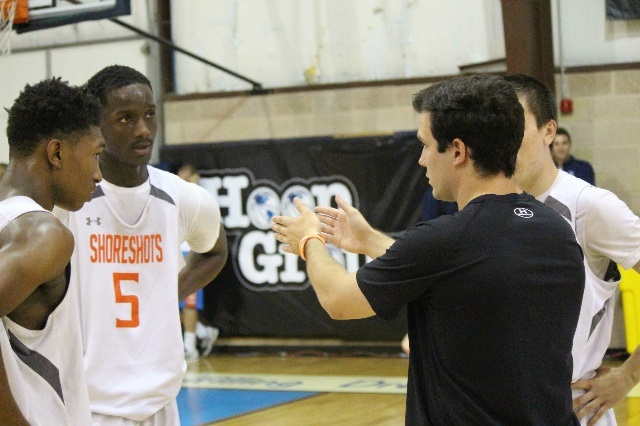 Over the course of the 2015 spring and summer season, Shoreshots Pooley competed in 9 premier level events and notched a record of 27-11 including a final four appearance in the Spring Jam Fest. Of the 12 players who dawned the orange and grey: 11 will play college basketball, with the 12th attending prep in 2016. Combined 14 Division 1 offers in 2015 between 5 different players!